SET EXAM 2016 notification has recently released by university of kashmir , aspirants who awaited to apply for set examination 2016 may apply before 04-04-2016 on the official website of UOK. All interested & eligible candidate can may apply for set 2016 examination. For other detail age, qualification & procedure of apply for set 2016 are mention below.. 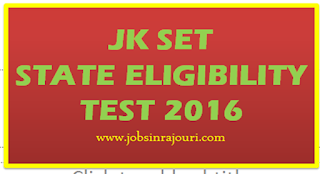 The Jammu & Kashmir SET Agency announces holding of the State Eligibility Test ( JKSET-2016) on May 22, 2016 (SUNDAY) for determining the eligibility of J & K State subjects for the Eligibility for Assistant Professor in colleges and universities of Jammu & Kashmir. 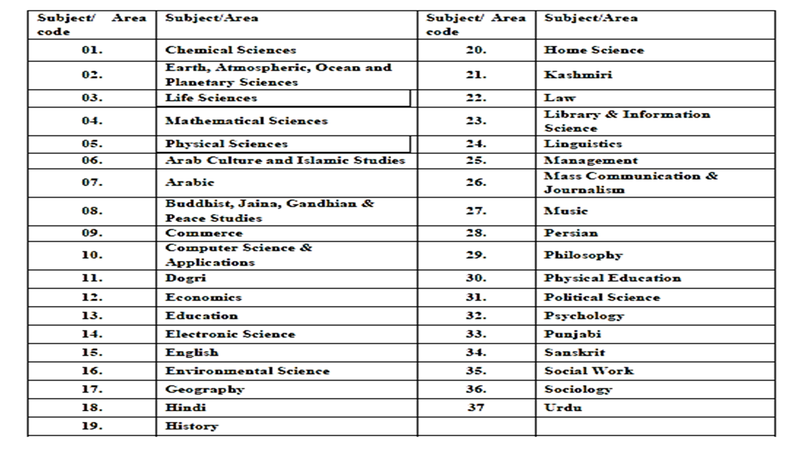 The Agency will conduct SET in 37 subjects at 2 (two) Centers of Srinagar and Jammu. EDUCATION QUALIFICATION FOR SET 2016. 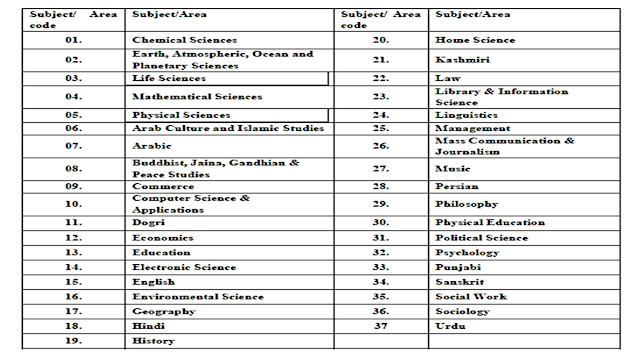 (A)Candidates who have secured at least 55% marks (without rounding off) in Master’s Degree OR equivalent examination from universities/institutions recognized by UGC in Sciences, Humanities (including languages) and Social Science, Computer Science & Applications, Electronic Science etc. are eligible for this Test. The, Scheduled Caste (SC)/Scheduled Tribe (ST)/Persons with disability (PWD) category and Other Backward Class (OBC) candidates belonging to the non creamy layer who have secured at least 50% marks (without rounding off) in Master’s degree or equivalent examination are eligible for this Test. Candidates who have appeared OR will be appearing at the qualifying Master’s degree (final year) examination and whose result is still awaited OR candidates whose qualifying examinations have been delayed may also apply for this Test. However, such candidates will be admitted provisionally and shall be considered eligible for award of eligibility for Assistant professor only after they have passed their Master’s degree examination or equivalent with at least 55% marks (50% marks in case of OBC/SC/ST/PWD category candidates). Such candidates must qualify their P.G. degree examination within two years from the date of SET result with required percentage of marks, failing which they shall be treated as disqualified. (i) Students Belongs To General Category Need Not To Submitted Downloaded Hard Copy TO UNIVERSITY, However they must keep them for further ..
(ii) Candidate Apply Under Reserved Category shall submit their Application form Along with Self Attested photo copy of Category Certificate and submit to the Set office Of University Of Kashmir /Jammu Centre Coordinate Office University Of Jammu. Before submission of the online Application Form, the candidate should read this notification carefully.